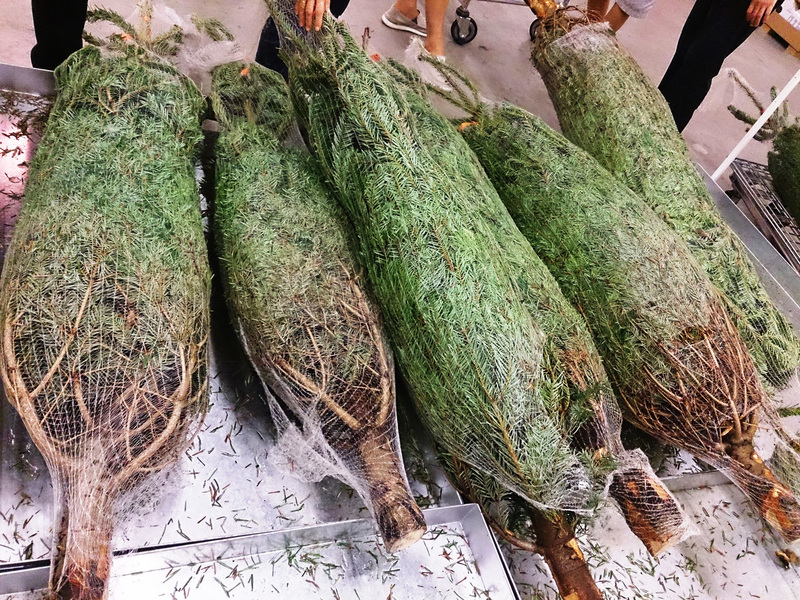 According to an earlier story by The Post, the city’s Department of Consumer Affairs says that “pretty much anyone can sell trees anywhere they please for any amount—as long as they’re not blocking other businesses’ entryways.” The lack of regulation allows vendors to price tress however they want all of December; the lax rules, according to DNA Info, are because of the “coniferous tree” exception adopted by the City Council in 1938 when then-mayor Fiorello LaGuardia was intent on ridding the streets of peddlers. The only tree vendors subjected to any sort of oversight are those who sell in the city’s parks. These sellers are required to bid for a permit with the highest bidder winning the right. DNA Info found that some sellers pay up to $56,000 for a monthly permit. 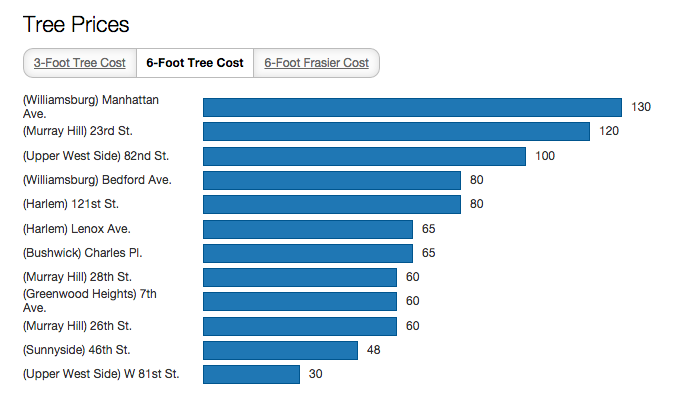 Other factors that play into a tree’s pricing include where it came from (e.g. Jersey versus Oregon), its species, the type of retailer and its height. In fact, if you visit SoHo Trees at Sixth Avenue and Spring Street, you’ll find “really big, rare trees” going for up to $400 a pop. Last year, a survey conducted by the National Christmas Tree Association found that $39.50 for a real tree was the average paid by their participants.